Something that we are going to talk about quite a bit here is the do-it-yourself trend when creating your own outdoor bar furniture setting. Some of you may have some crafting skills that make this method especially attractive. Others may just want to save money. The good news is that in this era you have more access to tools and materials than ever before. The other piece of great news is that online outlets are jumping at the chance to give you advice on plans so that you will visit their sites. Before getting started on this you should first make sure you understand what sort of undertaking it is. Creating a small chair isn’t that big of a deal but making a full bar can take quite a bit of time if it is constructed well. Creating a shelter overhead for when the weather gets bad can also be a significant amount of effort for you as well. Make sure you have the skills and money to start and finish the project. Not only does an unfinished project waste your time but it also makes your area look bad while it sits there. So where do you get the plans for your next setting? There are a great many places online from about.com to hundreds of others. While all of them need some significant woodworking skills the costs and time vary from piece to piece. You can also alter the materials since we have such an incredibly huge selection of different woods in the modern day. You can get these without paying anything in most cases and they are fairly good as well. Of course you could pay a contractor to do it all for you but the service fees are going to be quite expensive in a lot of ways. When you deal with companies like that then a lot of their bottom line is made up with those fees. You have to expect it. So unless you have a ton of money in order for them to do it for you or draw up custom plans then you should still be going with the normal do-it-yourself approach. If you run a business then you may want to do it yourself as a piece of outside restaurant furniture. Once you have the plans and know-how to set up this outdoor bar furniture you then need to decide on the style. Sure you probably want to do something with wood but there are many options beyond that. Perhaps you want a European or Egyptian look. A “Tiki” or Oriental bar where you serve Sake or drinks with little umbrellas can work too. You need to create the theme in your head before you actually start working on the project yourself. Ask friends for feedback. If you include this step then you can be pretty sure to have something everyone would enjoy. Take all of this into account when creating your own outdoor bar and stay safe when working with sharp tools. No one wants you to be hurt when creating something wonderful. Other than that we trust you to use your best style judgment. Everyone likes to have a few drinks while relaxing by the lake or on a nice ocean cruise. 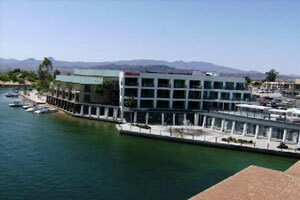 However there is one style that few vacation enterprises or even individuals have notices. 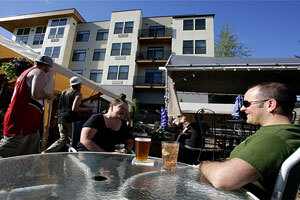 The idea of a nature bar with specialized outdoor pieces is an idea whose time has come. We are going to discuss whether you have a private cabin in the woods or run your own business this may be an excellent idea for you to look in on. The first reason to do so? It will stand out in the world today and put you on the map. People already practice this idea in a variety of ways. When you go drinking and fishing you are putting it into practice. When you bring a fine wine to enjoy with a loved one in an outdoor estate it is also much the same thing. We just do not think about it as much as we would if we were paying for an expensive vacation and someone else were doing it for us. As usual there is some good news on creating your own “Nature” bar setting. Any sort of wooden outdoor furniture will usually fit in well with this setting. There are also tons of ways to both create it and protect it from the elements. You have a huge variety of sealants and protective covers for your outdoor patio furniture. Those who are doing this just to enjoy themselves at a retreat may want to splurge on a private contractor. While you may not have the skills yourself they will. It may cost a bit extra for them to make a larger trip though so keep that in mind. If you have the skills though you should do it yourself since you will likely have all the privacy you need in order to work well and create a great piece. Part of the appeal of such a setting is that you can relax and free yourself from inhibitions with a good drink while getting away from the incredibly fast pace of daily life. Anyone who cannot see the appeal of that probably has not ever actually lived in a first world country. If you have it should be clear to you why such an offer is attractive. Europeans have seen this appeal for a great amount of time. Durability should be a major factor in any project like this. Your outdoor furniture needs to be able to stand up to the elements in case things get rough unexpectedly. So be sure to pick durable woods and other materials which can be sealed in order to improve their resilience. For those who run a business this might be an awesome idea for it. You could make it a part of your outside restaurant furniture or offer it in some way. Ski lodges already do this all over the world and rake in immense profits from it. In fact in many ways they are what proves this model will work for a great many businesses because it already does. Judge for yourself if this would work for you. Things have changed quite a bit since the days of the typical gazebo being a bland part of your outdoor furniture setup. These days’ designers are trying over-the-top styles and crazy additions. You may have heard about a few already but we are going to discuss a few of the more interesting ones. Some of them you may want to purchase but at any rate it should get you thinking outside of the normal mindset of the boring gazebo in plain colors and textures. The old ways of thinking about a gazebo are mostly dead. Sure people still make them but they are no longer constrained to one style. The ones of today hang, swing, spin, sit and sear food with fire pits in the middle. Some of them double as offices if they are constructed in a tremendously sturdy manner. They can even have many of the modern conveniences that you would expect from an actual room. So we are going to explore how things have changed with these. The ultra-modern gazebo is also a part of modern outdoor furniture as much as anything else. Pieces like these often have built-in lighting and heating elements. Some even have outdoor power adaptors so that you can take your office outside to enjoy some fun. Many of them also have very sturdy roofs with overhangs to keep things safe from the natural ravages of weather. One excellent example of this is the “Beehive” style that can fit 20 people in and can have a variety of plush additions. It is very popular at high-class restaurants. Of course the interesting changes in the style do not stop with simple additions of style. There are also truly unusual ones such as “the Gazebo outdoor chairs”. These extremely strange and intricately crafted pieces of outdoor furniture look very strange and are popular in gardens. Why? Because they have two chairs built into a sweeping overhang that will guard guests from rain and sun. 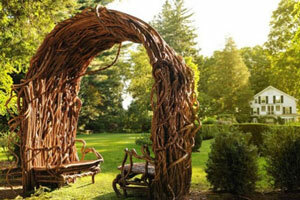 It creates an arch which looks like a tree has grown between two wood chairs. What about the pieces that hand around outside? While there are many types one is called the “Nestrest” which is very popular in France. The gazebo itself hangs from a tree and provides an enclosed space that people can relax in away from all the various troubles and work that the world normally brings them. It gives you a feeling of being away even if you are in your own yard. These are just a few of the new styles. Some are pretty much fully functional rooms with everything someone could want. Others are little more than a tent with some plush seating that helps people relax for a bit out of the elements. When planning your next project just be sure to keep in mind that you do not have to stay traditional with anything. Create your own special look with the materials you want. You may find that those around you appreciate it more than you thought. The Heat Hotel in Britain is a hotel that prides itself on their outdoor furniture and other accommodations much more than anything on the inside. This is not to say that the inside area is not impeccable but in this case we are going to look at their luxury settings. It may help you figure out how you would create your own high-end luxury setup for yourself. Of course it couldn’t hurt to actually stay at an establishment like this as well if you have the time and money. One thing that most guests immediately notice is that part of the hotel is underneath a scenic bridge. This natural beauty near the river means that it was obvious to put a lot of emphasis on the outdoor areas. They did not stop there though and brought an amazing setting all the way through. One unusual aspect of their outdoor furniture is that they have interesting fountains all around. Both ones that pour for scenic beauty and even one that the guests can play in. You may have seen some like the one that cools off the customers in some big cities. It shoots a major gust of water out of the ground which splashes everyone all around. Another major part of the setting is a bar with seating outside overlooking the bridge area. They call it, unsurprisingly, the Heat Bar. While you do not always think of the UK when you think heat it can get more than a bit warm on some days. Therefore it’s only natural that guests have something nice to drink while they are relaxing. Water is of course both an important part of any establishment like this. 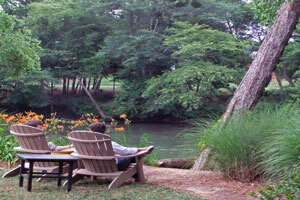 They have a variety of loungers and other outdoor furniture along the waterfront. They even have a small beach and swimming area for people there, in addition to various pools and fountains. Water can be a vital element of any decorating scheme so keep it in mind. Also just about everyone enjoys the water at some point. So perhaps you say you have seen it all before with other establishments. You probably have, yes, in one form or another. But it is the fact that they offer so much in one package that keeps people coming back to them. A scenic view with multiple ways to relax. They even offer waterskiing at some establishments. There are often regular parties. What sets them apart is they are always making sure that patrons have a good time in one way or another. This holds true for you whether you are entertaining people at home or trying to create a similarly impressive business of your own. Make sure that people are enjoying themselves at all times. Give them multiple choices and new experiences the next time that they come by. This is something that we can all learn from and put into practice with our own decoration. We are all on a budget though that is not quite as high as this so find your own way to set up a great time. When setting up any bar with outdoor furniture you have a lot of things to consider. Ordnances and restrictions vary widely from country to country and state to state. Keeping track of them can be very confusing so we want to give you a general rundown. Hopefully things can become a little bit simpler for you when you have a general idea. Just serving alcohol on your patio may put you in some trouble. This of course wouldn’t matter for a health juice or coffee bar, but a more traditional bar would have some problems. Make sure that your area is zoned for it because many areas zoned for one thing may not be zoned for another. Also you may need additional permits for alcohol in certain areas as well. Choosing outdoor furniture to fit with this may vary from area to area as well. In some places a keg may be acceptable or you may need to bring it out from indoors when people want it. In either case your local city will probably have some guidelines for you on this as well. European countries tend to have more relaxed laws on this in general. After all they didn’t have universal prohibition across all of Europe. Many countries also have more liberal views on the law which leads to this. In many places you will not have to go to extra effort but it is worth checking out. You will at least get a feeling of relief that you do not have to bother with all that in the worst case scenario. It couldn’t hurt to be extra careful about your outdoor furniture. So what do you do if you find a roadblock to installing some outdoor furniture for a bar in the form of laws? Discuss if they can be bent or changed with your local legislators first. Some of them may be outdated or not relevant and they will probably talk to you about it. Try not to make them mad or you could end up with an insurmountable obstacle. Unless you are willing to resort to bribery they could hold your fate in their hands. There are also “nuisance” laws just meant to levy fines on you. They are meant to gather money for the government up and there is little that can be done about those. Just make sure you do not step on too many toes when you are breaking a law that does not make sense. Other than that you should decorate your outside furniture as you normally would. A few areas do have stylistic requirements to follow but those are few and far between. Most governments care little about enforcing them. 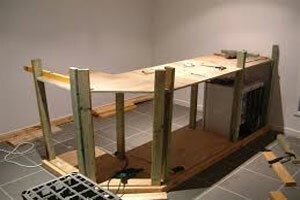 However if you are working on a bar for your home they can be a really big problem. Home owners associations have serious power to take away your home if you break their regulations in a big way. Keep that in mind before you decide to ignore their orders. There is little you can do there as well so make your own decisions in that area. Chains today are renovating their formerly indoor only seating areas and adding outdoor furniture. There are many things that we can take from this and we can even learn from how they are doing it themselves. While you may not apply everything it should at least give you quite a few good ideas on how to handle everything. So come with us as we explore what some of the biggest chains in the world are doing in order to change up their entire setting. Olive Garden is an excellent example of what is being done. Most of their restaurants were designed entirely with the indoor setting in mind. In fact most of them do not have anything like a patio that people could enjoy the food and wine on. However they are now renovating hundreds of stores to have new patio sections in overhangs and such. They want an area outside where you can enjoy a fine wine, which makes it that much better. Business owners should take note as you may be missing out on pleasing some of your customers. Many of the establishments in the Carrabba’s Italian Grill chain had an outdoor furniture area to drink in from the start. This is because some European styles of dining are uniquely suited to eating in that area. Many chefs believe that the view can improve the taste of the food and there is quite a bit of evidence to support such an interesting claim. Often when you are happy while eating or drinking it can taste better. Many of us also know that the bitterest alcohol comes when you are feeling down. Attitude determines quite a bit in this area. Cheeseburger in Paradise offers beers with their casual outdoor atmosphere, although not all their establishments have an outside area to drink in. This tells you something you probably already had known, if you have casual friends you do not always need to serve them in a special place. You also may not need to give them the finest wines in the land either. Be sure to set everything up with your guests in mind first. They will almost always notice and appreciate the effort you put in for them in the long run. Applebee’s has only indoor areas in most of their establishments. It has worked for them so far but it may not work forever and their inflexibility may cause problems for them in the long run. While we cannot be sure of this it seems likely with how the industry is changing in huge ways. From design to décor it is all moving and shaking. For a business owner this means you should keep your clientele in mind and also consider changing your setting if it is not working. If you are a personal property owner then you may want to suggest a change of scenery for your next party or do some remodeling. You know better than we do what your loved ones or clientele want so tell us about it. The most stylish and cool outdoor furniture often gets that way by standing out. What could stand out more than bringing your office outside? There are many ways you can do this so we want to give you some tips on it. You may have some of your own ideas as well and should share them with us. Perhaps the best part of this is that by getting the things needed for it you can often have a mobile office you can take with you anywhere. The first and most obvious thing you will need is a computer. Unfortunately waterproof laptops are not the most common thing and can be quite expensive. So how do you get around this? Shelter of course. Everything from vehicles to tents can work as an effective form of shelter. Just make sure that there are no leaks in it or you could have a very unfortunate incident that costs you some serious money. 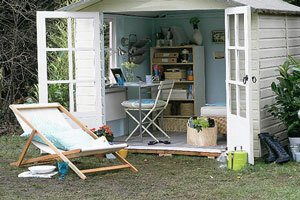 Sheds are perhaps the most popular and effective form of shelter for your electronics and outdoor furniture. They can be made in very compact styles, perhaps only large enough to comfortably fit you in a chair along with your equipment. Many companies are selling these along with kits to create them yourself. So this may be a good choice for you if you have the money to spare it. Motor vehicles are also very useful for things like this. They allow you to take your patio room to the lake or another area. Many of them also have overhangs so you can truly be outside while still being sheltered. Those who want to get really crazy can go to great expense and create a truly invincible outdoor furniture setup. Get a watertight computer with some form of liquid cooling so it does not have to be open. Acquire a raincoat for you along with some power source which is properly insulated. Then you can literally sit in nearly any sort of weather with the setup. The obvious downside? That is going to cost you a huge amount of money. Only those who are incredibly crazy or crazily rich would be interested in actually doing such a thing. If you are in that boat then go to it. As we mentioned earlier a small tent with a heating or cooling device can be very useful as an office. Strange designs for these have been cropping up in Europe at various levels. Many of them provide excellent shelter without breaking the bank. This may be a good choice for you if you can find a decent realtor for the devices. This isn’t really a great choice for outside restaurant furniture unless your theme is “the office”. Once everything is set up do not be afraid to go a little crazy with the setup. May an outdoor coffee maker might fit in with your other pieces. Maybe a strange design for a tent would work as well, spice it up and have fun. After that is the point of the whole decoration anyway. If you aren’t having fun just go do work in your office. So you have seen some of the most expensive and impressive outdoor furniture in the world. You don’t have the money for it, we don’t either but it is handy for ideas. So how about some advice you can actually afford? There are many small ways you can improve any setting so we want to give you even more ideas in a completely different way. Food for thought is always a good thing when creating your own setup. 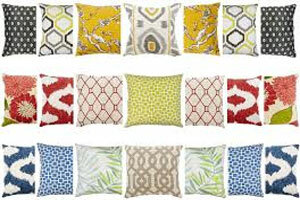 What is the difference between a designer cushion and one that you can get cheaply? Perception. Many of the designs you see on each are either similar or the same. Many of the discount ones today were designer ones yesterday, their age just made them fall out of favor. Adding them to any setting can make things much more comfortable for you and your guests. Quite a few of them have intricate designs that look great as well. A signature piece of outside lounge furniture can go a long way into defining a setting. Maybe it is an overstated pink chair with roses on it. Perhaps you have an ultramodern daybed that the people you care about can relax on. Make it the focal point which everything else pays attention to and it can bring an unexpected and welcome presence to any setting. We have said it before but healthy, vibrant plants can bring that same feeling to your outdoor furniture. Make sure you tend them well in order to keep them looking great. If everything is set up right then it can really bring life to a dreary setting. You may want to pair the furniture up with earth tones in order to enhance the effect. Mix your older pieces with new ones and put them parallel to each other. Why? Because the dichotomy can really make the room stand out. You may be worried that they will clash but in this case a clash is what you actually want. It makes people think and gives the room a different kind of atmosphere. Do not be afraid to mix in colorful lighting or even Chinese lanterns if it stands out. Choosing a theme is yet another way to liven up any outdoor room. Maybe you want a Tuscan-style setting with some authentic coffee to go with the setting. Or perhaps a French napping area would work better for you with a daybed and some luxurious curtains that your guests can relax in. There is no wrong answer as long as you have a clear vision of what you want. So what do these all have in common? You can get them from discount retailers and thrift stores in order to save yourself quite a bit of money. There are many different locations to get these outdoor furniture embellishments as well. Think about a few yourself and decide whether you want to go get some in the following days. You may find that things are easier to set up than you ever thought possible.